While middleweight UFC fighter Robert Whittaker is a New Zealander according to the UFC, his accent tells another story. 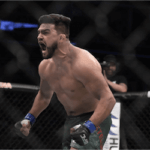 This fighter may have been born in Auckland, but he was raised in Australia, and will represent both countries when he headlines the UFC Fight Night this weekend in Melbourne. Despite the fact that he has spent most of his life on the other side of the Tasman, he is very proud of his Maori heritage, and will carry it into the Octagon with him as he begins the battle, with the evidence of his roots tattooed across his shoulder, in case anyone should be in doubt as to where he was born. Whittaker will not officially commit to either New Zealand or Australia, but is very proud to wave the flag for both countries, stating that he is proud of being “half-caste”, and does not see why he needs to choose one “side” when influences from both have had such a positive effect on his life. Whittaker was originally going to appear in the co-main card event for the UFC Fight Night, until Luke Rockhold’s injury had his fight against Ronaldo Souza cancelled, thrusting Whittaker’s bout with America’s Derek Brunson up into the closing act. Whittaker reported feelings of shock about his sudden elevation, saying it took about a day for the information to settle in, and he has since come to view the opportunity as one to show just how far he has come. He added that fighting for his home country, and headlining at the same time, was the biggest milestone of his career to date. Whittaker has been competing professionally since 2009, after he was introduced to this sport by his Hapkido instructor, but his career gained a huge amount of traction when he appeared on The Ultimate Fighter, a reality show, in 2012. Whittaker’s prodigious performances in The Ultimate Fighter saw him secure a contract with the UFC as part of the prize he received as the overall champion. Four years on, Whittaker is enjoying a five-fight winning streak and the real probability of pushing himself into the ranks of the middleweight elite should he manage to win the fight with Brunson this weekend. Brunson is also enjoying a winning streak, totalling six so far, and was able to end his last four fights by brutal first-round knockouts each time. Should he manage this against Whittaker, he will be heir to the UFC record. Bisping Suffers Second TKO Defeat and Handed 60-day Suspension After all was said and done, there wasn’t a whole lot to take away from UFC Shanghai. From the days events …. 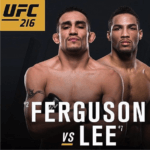 Tony Ferguson No Fan Of Kevin Lee There’s no love lost between MMA fighters Tony Ferguson and Kevin Lee. Ferguson has said that he respects Lee for his willingness to …. 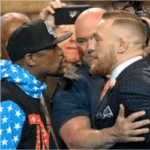 McGregor’s Not So Subtle Message to Mayweather The first event of the American leg of the Floyd Mayweather Jr vs. Conor McGregor media tour concluded in the early hours of …. 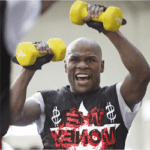 Mayweather Employing Unorthodox Training Techniques The hype machines rolls on as this week it was announced that the Mayweather and McGregor camps will be embarking on a worldwide media tour. …. Controversy Reigns At UFC Fight Night 112 This past Sunday saw the conclusion of UFC Fight Night 112. 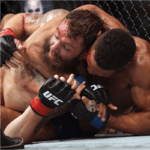 There were many anticipated fights that concluded the weekend but the main ….